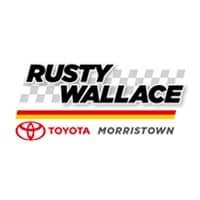 For more than 25 years, Rusty Wallace Toyota has been serving the Morristown community and the surrounding areas. We always put the customer first, so you can be sure your car-buying experience will be a positive one. We have a wide selection of Toyota vehicles with third row seating, so you’re welcome to visit our showroom and take some test drives of these vehicles. Contact us today to learn more or to set up an appointment!